This book was better than I expected. I did read some of the other reviews on this book and had my doubts. Yet, I was still curious about this book and wanted to read it for myself. So again, I was happy that it was better then I hoped. The world that Ms. Paige has built in Oz is a twisted one. 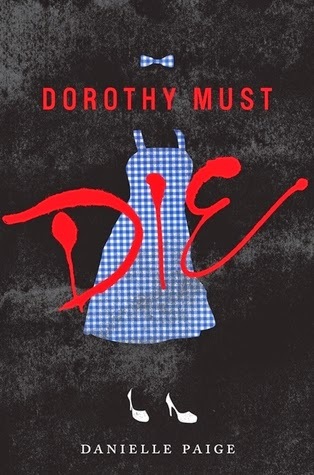 Dorothy is evil. However I think one of the scariest characters in this book was the Tin Man. He is like something out of a horror movie. Than there is Maude the tattooed munkin. Oh and don't forget Glenda, who is not the good witch but the mean b''ch. It is her sister, Glinda that is the good one. Amy is the hero. Although in comparison with all the other characters of Oz, she was dull and a weakling. However again it is because of the world and the rest of the characters that I enjoyed this book. I am curious as to what will happen in the next book. I see it getting better and darker in the next book.